Automatic Train Washing System adopts to clean the dust,oil stain and other besmirch of the train. By using the water, cleaning agent and the brush to wash two lateral of the railroad train, include the car door with the pane. 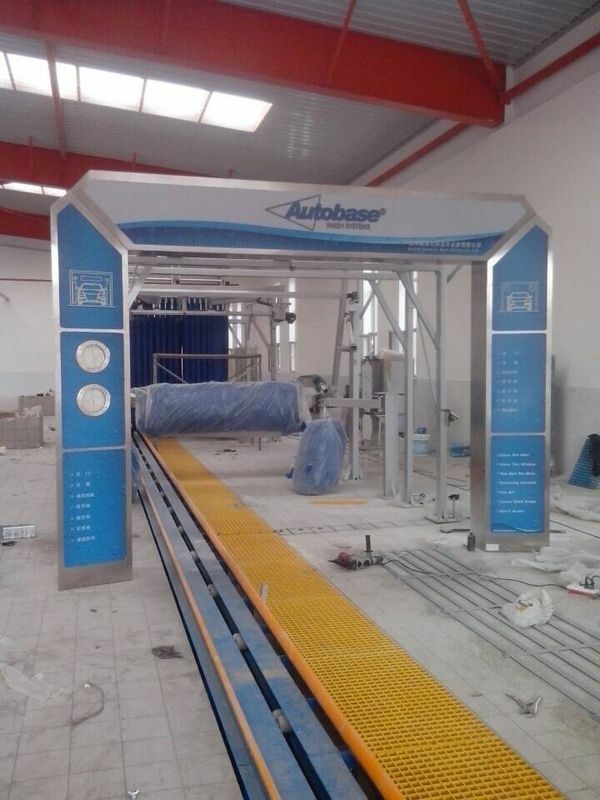 The Automatic Train Washing System is constituted by washing system, electricity control system, water supply system, compressed air supply systems. It adopts the train self-draught. The train passes the warehouse to wash and brush with the speed of 2-4 km/ h. Automatically proceeds railroad train two lateral washing. Wash the bodywork surface to have no the dust, mud with the other attachment. Wash the empress's water to pass by to handle to behind circularly use. Have the auto or manual control function and can choose if use a cleaning agent. 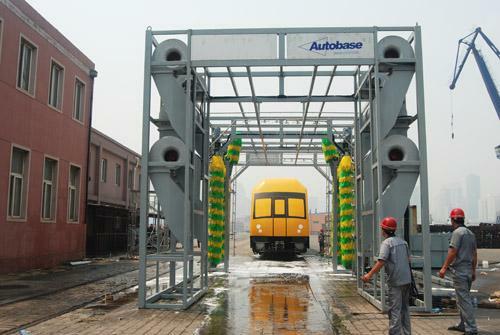 1) This Train Washing System can auto wash the lateral extern surface. 2) This Train washing System can auto wash the coping of the train. 3) This Train Washing System provides to automatically clean the train, meanwhile, manual cleaning is also possible. 4) Each working section can work manually and move from point to point. 6) This system has the perfect system protecting function. It also provides to give alarm both automatically and manually in the event of a failure. 7) This system provides the function: reuse the circulating water. 8 ) This system provides the record function: the train’s number.